Most people eagerly look forward to the month of January for the New Year. But if you’re in tech, January is the month of outlandish new tech products to be unraveled at CES®. Yes, the Consumer Electronics Show (www.ces.tech) is a tech event you just can’t afford to miss. Held in Las Vegas and organized by Consumer Technology Association (www.cta.tech), the event is a playground for innovators to unveil new products and technologies to the world. Which is probably why CES® and it’s organizer, CTA, use a .tech domain! From berserk to bonkers to believable, CES® is famous for being the ‘big daddy’ of tech events as it’s always packed with a bevy of cutting-edge technologies from leading companies and enthusiastic startups. The 2019 edition of CES®, which was held at the Las Vegas Convention and World Trade Center from 8th to 11th January, was no different. 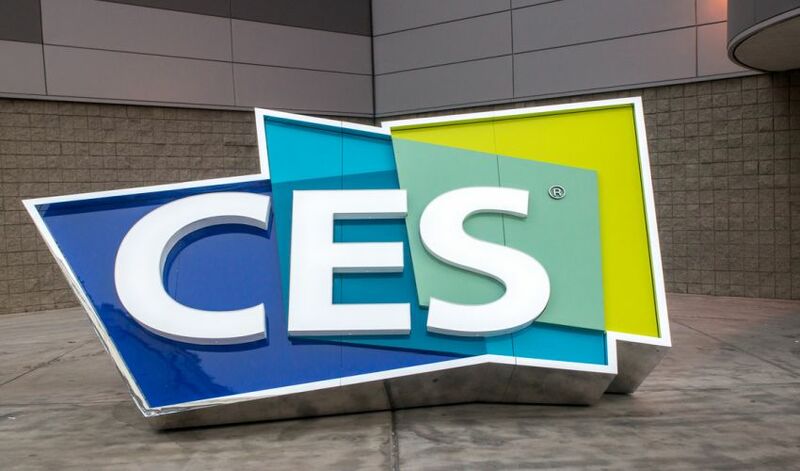 CES® 2019 served as a haven for tech enthusiasts as the event brought together big brands and industry advocates from around the globe and across industries to showcase their innovations. Among the many tech enthusiasts present at CES® this year was Dom Esposito (www.dom.tech). From smartphones to Mac and PCs, Dom’s channel is packed with unboxing and review videos. CES® 2019 was the hub of gadgets and gizmos galore and so it was only natural to find Jonathon Casey bustling about the event floor. Jonathan’s YouTube channel is filled with review videos on smartphones and cameras and all things tech! After checking out the best tech of CES 2019 make sure to save 90% on your .tech domain by going to go.tech/cessale and use code CESSALE CES 2019 had a ton of great tech and in this video we are looking at the best of the best from CES 2019! I put together Part 1 of my CES footage recap. I went with this style because I there was a lot of stuff to look at but also a lot of people. So getting one-on-one with the reps was difficult. Either way, I hope you enjoy it! Thanks to be quiet! & .Tech Domains for sponsoring our coverage this year from CES 2019. http://www.go.tech/CESGO for 90% off Domains Use Code: CESGO at Checkout JP Merch Shop: http://bit.ly/JokerMerch Subscribe! When it comes to groundbreaking new startups at CES® 2019, several promising new startups won over attendees with their awe-inspiring innovations. Health-tech based Crescent (www.crscnt.tech) showcased to the world a first of its kind wearable dual-camera headband for surgeons. To help companies and communities transform into highly-efficient and sustainable entities, Electroactive technologies (www.electroactive.tech) was present at CES® to showcase their sustainable pathways for clean energy production and agricultural product generation. France-based Daan technologies (www.daan.tech) took CES® 2019 by storm with their unique mini dishwasher. Bob is an ultra-fast and ultra-compact dishwasher for active students and young people living in small spaces. Gotyu (www.gotyu.tech), the company behind the smallest GPS tracker and activity monitor for kids, pets, luggage, and senors, was also present at CES® 2019. CES® 2019 was as sensational as ever with bizarre tech from companies all over the globe. And we just can’t wait for January next year for the 2020 edition of CES®! Starting a tech startup? Get a .tech domain here!